Republican Mark Sanford has been a vocal President Trump critic in the past few months and years, and today he learned what the price to pay for that is when POTUS slammed him on Twitter just hours before an election which he then went on to lose. The US President referred to Mr. Sanford’s trip to South America in 2009 to have an extra-marital affair while his unknowing staff in the governor’s office famously told reporters he was hiking the Appalachian Trail. In fact, for more than twenty years, South Carolina voters had forgiven Mr. Sanford for all his quirkiness, his infidelity, and his lies. But that was until three hours before the polls closed and Mr. Trump sent out his tweet. 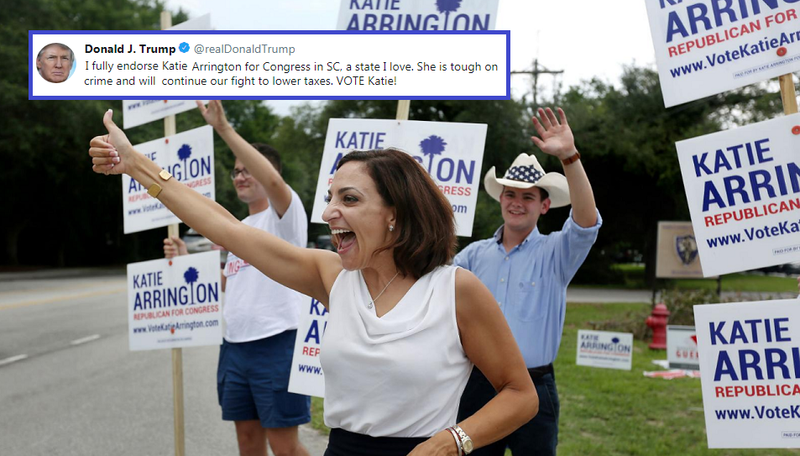 Losing his first election ever, Mr. Sanford was soundly beaten for the Republican nomination for another term in the coastal 1st District around Charleston by state Representative Ms. Katie Arrington, a strong and vocal Trump supporter. After she declared victory Ms. Arrington asked Republicans to come together whilst reminding them that: "We are the party of President Donald J. Trump."